In this part, we continue to explore how technologies can help fintechs solve scalability challenges. How fintechs can find new revenue streams and extend their market reach? When fintechs find the technological capacity to build a scalable and reliable solution and manage to keep their operational costs low, they want to grow bigger, raise profits, and scale their business reach. However, that may be a daunting task due to strong cards of other financial services companies operating in the market. Fintechs started as companies that began ‘unpackaging’ a traditional bundle of financial services. They aimed at creating a focused and highly effective user experience while filling a single niche. However, this competitive advantage greatly limits their potential market reach now. 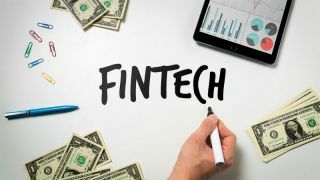 Fintechs currently face severe competition with Big Techs such as Amazon, Google, Facebook, Apple, Tencent, which choose different points of entry into the financial domain and capitalise extensively on Big Data customer analytics and customer-facing AI. What’s more, banks are still the one-stop-shop that is associated with a full package of financial operations. Banks have a few aces up their sleeve including a large customer base, a low cost of capital, and established brands. In other words, fintechs laid a strong foundation for innovation, but many of them now face the challenge of extending their market share, enhancing visibility, and achieving economies of scale. To solve the problem, fintechs often decide to build bridges with traditional financial organisations. A partnership that can be mutually beneficial for both. As Accenture estimates, full-service banks could lose 35 per cent of their market share to more digitally mature competition by 2020. Furthermore, banks are now burdened with new regulations and open API demands. And they call for digital help. As a result, one of the strongest fintech trends in 2018 is re-bundling of financial services and collaboration between fintechs and traditional financial companies. Partnerships can be performed on different levels of integration. This can be an exchange of limited sets of data, e.g. a P2P fintech informs a bank about potential lenders, and a bank buys those loans from a fintech. Banks and fintechs can also engage in a much deeper collaboration, creating shared digital platforms that utilise incumbent’s large investment share. As integration is often complex and challenging, some fintechs and financial companies decide to choose an arm-length cooperation model. For instance, in its partnership with BBVA Bancomer, Destacame has a completely separate system from the bank. However, there are multiple engagement models preferred by Fintechs. White-label solution. An incumbent purchases a product from a fintech and markets it under its own name. Thus, fintechs can have a one-to-many service model, offering their solution to multiple incumbents without being fully committed to just one. The traditional firm’s brand name, infrastructure, and a distribution network enable them to promptly bring the solution to the market. Integrated in-house solutions. A traditional firm hosts a fintech solution in-house or as software-as-a-service (for small firms). However, that calls for complex integration and may pose a challenge. Full outsourcing. This model means financial institutions outsource their non-core capabilities to a fintech firm. API integrations. A traditional firm provides APIs, so fintechs get access to their data and can deliver different operations. In another scenario, an incumbent leverages APIs that have been offered by a fintech firm. We will dwell on APIs in more detail in chapter 2.3. Standalone in-house solutions. In this engagement model, a traditional financial services company uses the fintech technology as a stand-alone in-house platform. However, integrating a technology with an incumbent’s legacy system may be a daunting task. Accelerator and Incubator programs. Incumbents create accelerators and incubators for fintechs to develop innovative solutions. As both fintechs and financial services companies strive for extending their market shares, they cooperate to enable financial inclusion of the unserved and under-served customers. Financial institutions and fintech companies collaborate to engage the unbanked and underbanked population in remote areas where brick-and-mortar branches are unprofitable. AXA is collaborating with MicroEnsure to expand its customer reach. AXA used to cover only the wealthiest 5-10 per cent of customers in emerging markets. MicroEnsure, a specialist provider of insurance offered AXA an IT platform designed to serve large numbers of customers at lower costs. AXA says that its partnership with MicroEnsure has allowed the company to form better partnerships with mobile network operators (MNOs) because MicroEnsure also brings integration experience with telco systems. The collaboration has reduced operational costs and enabled AXA to extend coverage to 10 million low-income customers across Africa and Asia. Meanwhile, MicroEnsure continues to build solid partnerships with many MNOs and other insurance companies. Diamond Trust Bank (DTB) is collaborating with Kopo Kopo in Kenya and Uganda to provide services to retail merchants. Mastercard is partnering with Grindrod Bank and Net1 to reach unbanked population segments in South Africa. Another goal is to create profitable services for existing customers in the lower market segments. ICICI Bank, a large bank in India, is collaborating with Stellar, a Silicon Valley-based non-profit company which offers distributed ledger payments network to its customers. Following the establishment of 300,000 accounts, the bank will pay Stellar a fee for each additional account. Additional important focus is leveraging Data Science and AI to improve user experience and access more customers. The BBVA Bancomer is partnering with Destacame, an alternative credit scoring platform, to increase credit access to customers with thin credit history in Latin America through data analytics. In Spain, MicroBank is collaborating with EFL, a psychometric scoring platform, to extend credit access to underserved SMEs. DemystData, a New York-based software as a service provider, started as an alternative credit-scoring platform. The company has extended its operation to data testing, cleaning and standardisation for enhanced data access and compliance. One of its clients is a major bank in the Philippines. To access underserved low-income customers, inform them about new services and potentially expand their usage of financial products, companies need constant interaction and digital immersion into their users’ everyday life. For instance, MetLife is partnering with Imaginate, a virtual reality and augmented reality software development company. They aimed to design an immersive customer journey for insurance policyholders in India. In this virtual branch, users can interact with insurance agents, get information, and submit claims. In Latin America, BBVA Bancomer and Bancolombia are each working with Juntos, an AI fintech company. The two banks use Juntos’ platform to communicate with their customers via automated and customised messages. Partnerships between fintechs and incumbents could follow very different roads. In some cases, incumbents and fintechs can continue to cooperate as partners. In other cases, a financial institution might buy the technology from a fintech or learn more about the technology and start its own development. In Part 3, we’ll see how fintechs can comply with regulation and security standards by leveraging Blockchain and AI.